Search for the latest Baypine Cottages for sale in Sandestin Resort in Miramar Beach, FL. 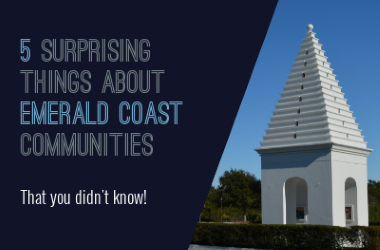 Learn more about this community with our local Baypine Cottages Guide. Explore other Sandestin Resort communities and listings. Baypine Cottages is a neighborhood of single-family coastal homes on the bayside of Sandestin Resort. It is located next to Jolee Island and Sandestin Owners Pool #2. Homes may feature outstanding panoramic bay views and wrap around porches. There are 31 units with 2 and 3-bedroom floor plans. Some homes have a carport. Short-term rentals allowed. 2019 Update: Sandestin Owners' Pool #2 is being completely reconstructed. The listings on this page include homes in Baypine Cottages in Sandestin Resort in Miramar Beach, FL. If you’re interested in scheduling a showing or learning more about any one of these homes, simply fill in your contact information and click the “Request More Info” button. Our team is here to provide you with any information you need, including disclosures, the sales history of a property and nearby market data.